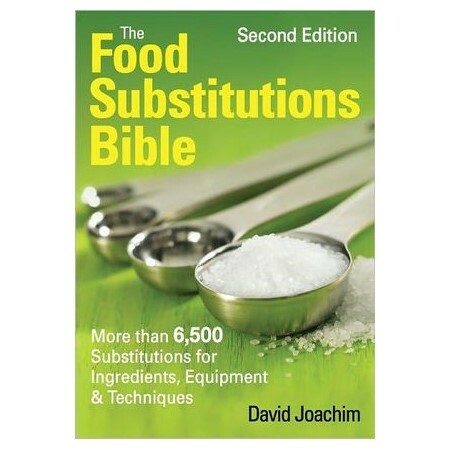 Practical and enjoyable to read, this new edition of "The Food Substitutions Bible" has the best instructions for the home cook or professional chef who needs to find a great substitution when a vital ingredient is missing at a critical time in the preparation of a recipe. Every substitution includes exact proportions and precise directions for making accurate, reliable replacements. Out of confectioner's sugar? Finely grind half a cup plus one and a half tablespoons of granulated sugar with three-quarters of a teaspoon of cornstarch in a blender or small food processor. The straightforward page design makes each entry, chart and sidebar easy to understand and follow. This new edition is bigger, better, updated, expanded and completely revised, providing more information more readily.